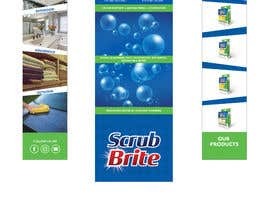 At Scrub Brite, we operate an e-commerce store selling cleaning products and we're currently working with a distributor to launch our products in retail stores. We are in need of a professional vector design for a cardboard display stand which will be visible in big box stores and other types of establishments. The final design should look clean, modern and attractive in order to capture the consumer's attention and give off the "WOW" factor. 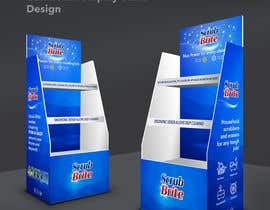 This project should be treated similar to a packaging design, since this display will be placed inside stores and be seen by lots of customers. We would like to see all designs before making a final decision. - Incorporate a nice layout for our logo and text which I have provided in the files named "headboard & base, left panel, and right panel". Be creative! - Soap bubbles on the headboard background *ONLY* (similar to Scrubbing Bubbles or better). - Create new icons for the sun and snowflake. 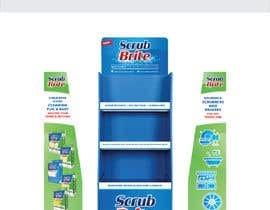 - Scrub Brite logo on the base. - Place nice (related) images beside the "kitchen, Bathroom, Household and Outdoor" icons seen on the "Right Panel" so that there isn't void space and doesn't look boring. - Add vector social media icons on one of the side panels (Facebook, Instagram, YouTube). - Use of gradients where necessary. Feel free to contrast the colours of the stand. ie; blue front panel and green side panels. 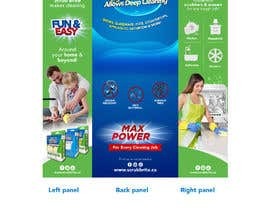 - The lip (5mm) panel should have the provided text printed. - Place our product photos (attached) on the left side panel in the best arrangement possible. 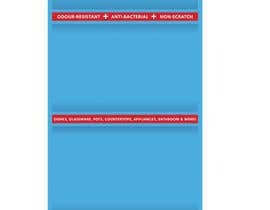 - Separate the background elements of the side panels with angled backgrounds or curved lines. Text and logo are provided but we're relying on the graphic designer to use their expertise and creativity to create a beautiful and professional design. 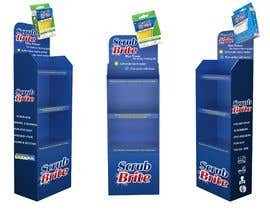 Attached are a few display stand examples, as well as our stand shape/approx. dimensions for your reference. NOTE: Attention to details is critical. Rushed jobs and spelling mistakes will be rejected immediately. what is the company that makes the cardboard stand? The prize is staying at $526. I can't find the stand examples ? Look now! They should be there.